*Available instantly after purchase as a digital download. Please note: No returns accepted on digital downloads. Havoc returns with an all new Producers kit, the Infamous Album Producers Kit, features drums and sounds from Mobb Deep's The Infamous Album. The Producers Kit also contains drums, percussion and sounds from Havoc's unreleased production. 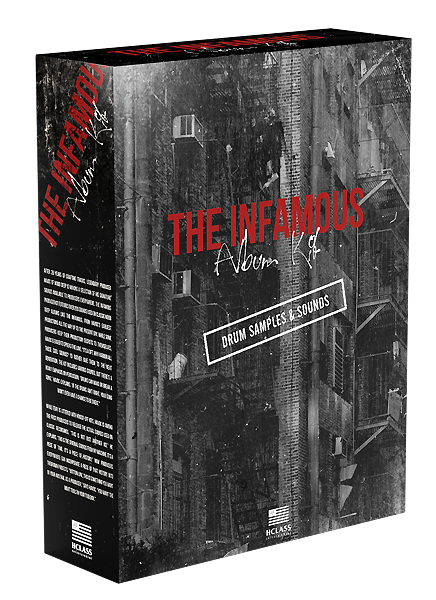 This kit features 111 sounds of Vintage Kicks, Snares, Hi Hats, Breaks, Claps, One Shots and more. Compatible with all hardware samplers.